FRIDAY, Oct. 19, 2018 (HealthDay News) -- As the use of marijuana is growing, with Canada legalizing the drug just this week, a new study that ties pot to a raised risk for stroke might give users pause. The risk for any stroke could increase by 15 percent and it could jump 29 percent for an ischemic stroke -- the most common kind, said lead investigator Dr. Krupa Patel. She is a research physician at Avalon University School of Medicine in Willemstad, Curacao. Patel cautioned that the study can't prove that using marijuana causes strokes, only that the two are associated. "We can't establish causation, but what we can say is that recreational marijuana users are at higher risk in terms of stroke," she said. 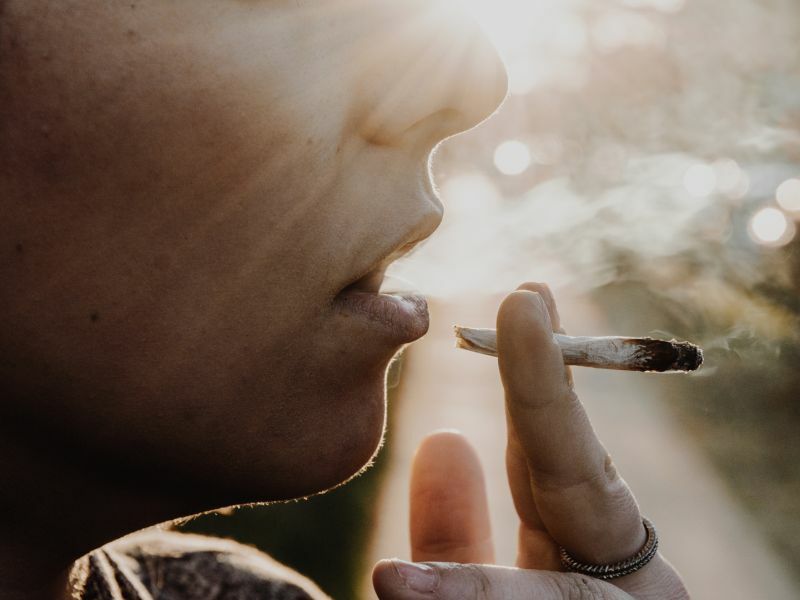 In addition, the researchers don't know if the risk is tied to smoking marijuana or ingesting it in other ways, and whether it depends on the amount of the drug used or if it is due to other psychoactive ingredients mixed in with the marijuana. Patel said the risk may be exacerbated by chronic medical conditions of the marijuana users who had strokes, such as diabetes or obesity. Also, the researchers could not tell from the data whether marijuana users used other drugs like cocaine or smoked tobacco, she said. Still, more strokes occurred among marijuana users than nonusers, which leaves open the question of what accounts for the increase in risk. "At this point we can just say there is this increased risk," Patel said. The best way to sort out whether marijuana is truly associated with an increase in stroke is in a clinical trial, said Dr. Thalia Field, an assistant professor of neurology at the University of British Columbia in Vancouver. "It's too early to say that this is causative," she said. "It has to be borne out in other studies." In the study, Patel and her colleagues found that among more than 2.3 million American recreational marijuana users who were hospitalized, the risk of stroke rose, compared with people who didn't use the drug. Between 2010 and 2014, strokes among marijuana users steadily increased, even though the overall stroke rate remained unchanged, Patel said. Among marijuana users in the study, more than 32,000 had a stroke -- including nearly 19,500 who suffered an ischemic stroke. Ischemic strokes occur when a clot blocks blood vessels in the brain. Over five years, the rate of all types of stroke increased from 1.3 to 1.5 percent among marijuana users, and the rate of ischemic stroke rose from 0.7 to 0.9 percent, the researchers found. The increase in strokes among marijuana users was across all age groups -- for people in their teens to those in their 80s, Patel said. In addition, costs to care for these patients rose between 2010 and 2014, from $71,000 to $92,000, she said. The findings were to be presented Friday at the World Stroke Congress, in Montreal. Such research is considered preliminary until published in a peer-reviewed journal. Paul Armentano, deputy director of the marijuana advocacy group NORML, said, "This finding is inconsistent with other population-based studies, which failed to identify cannabis as an independent risk factor for stroke in younger subjects." NORML, however, recognizes that the data on this subject is evolving and that cannabis smoke can cause a cardiovascular response, he added. People with a history of heart disease or stroke may be at an increased risk for adverse side effects from marijuana, particularly smoked cannabis, Armentano acknowledged. "As with any drug, people should consult their doctor before deciding whether the medical use of cannabis is safe and appropriate," he said.